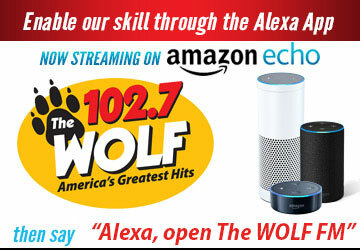 Wolf Lunch Break - The Wolf 102.7 | America's Greatest Hits! The Wolf wants to feed the hungry pack at your workplace! Every Friday at noon, one of The Wolf Jockeys delivers lunch from Ozzie's Grill to one winning business in Sonoma County. Register below. One entry per person. The winning business is selected by random drawing each week and notified the day before lunch delivery. A business may win free lunch only once in any 12-month period. Lunch is served for up to 10 people. Your registration information is for the use of KWVF-FM only. We will not sell, rent or in any way distribute private information supplied to us by you.